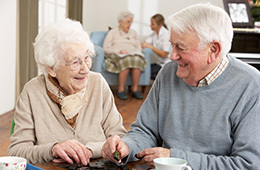 The mission of the American Seniors Housing Association is to be the industry thought-leader promoting quality and innovation, advancing research, exchanging strategic business information, and influencing legislative and regulatory matters. For nearly 25 years they have supported research and national initiatives that enable seniors to receive high quality services and age with dignity in the setting of their choice. David S. Schless has served as President/CEO of the American Seniors Housing Association (ASHA) since its creation in 1991. ASHA is comprised of senior executives from the nation’s leading developers, operators, and financiers of purpose-built, professionally managed seniors housing. ASHA provides thought leadership related to quality and innovation, advances research, strategic business information, and influences legislative and regulatory matters. With over 25 years of experience, David has been involved in virtually all of the industry’s major research projects during this time period. He has an intimate understanding of policy and regulatory issues, an in-depth knowledge of the seniors housing business, and has been quite involved in the development of ASHA’s new Consumer Education Initiative that will be launched in early 2016, “Where You Live Matters.” David also serves as treasurer of the Seniors Housing Political Action Committee, the oldest and largest PAC focused exclusively on supporting federal candidates who support the development and preservation of quality housing and services for seniors. David co-authored the HDR Affordable Seniors Housing Handbook, which was revised and published 10 times between 1995 and 2005 by Thomson West. He holds a Bachelor of Science degree from the Center for Aging and Human Development at the University of Connecticut, and a Master of Science degree from the Department of Applied Gerontology/Center for Studies in Aging at the University of North Texas. 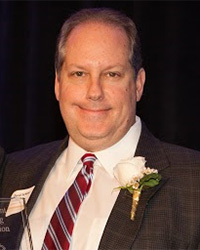 David has served on the editorial board of the Seniors Housing & Care Journal since its inception, and has been honored as a Distinguished Alumnus by both the University of Connecticut and the University of North Texas for his work on behalf of older adults. RHF is pleased to present David Schless and the American Seniors Housing Association with the 2016 Friend of the Elderly Award.